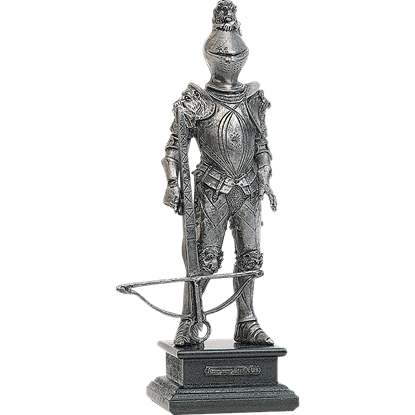 An incredible representation of a knight in shining armour, the 16th Century Pewter Knight with Crossbow is a delightful decoration that radiates medieval era appeal throughout any room in which it is displayed. 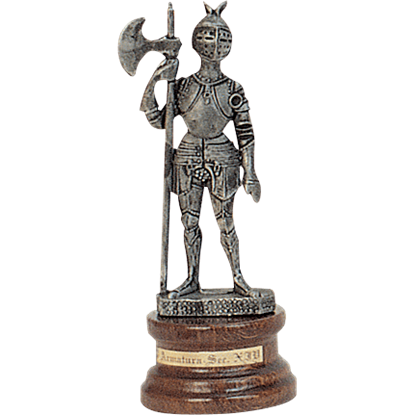 A magnificent depiction of a medieval knight wearing a full suit of armour and holding his halberd, the 16th Century Pewter Knight with Halberd is a wonderful decoration for the home or office of anyone interested in the medieval era. 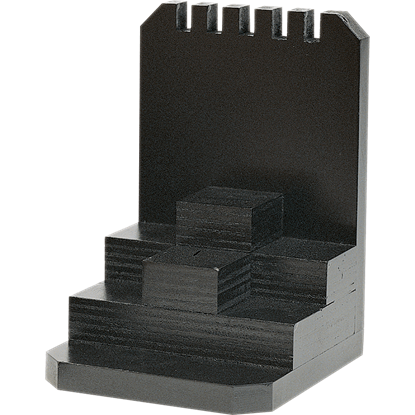 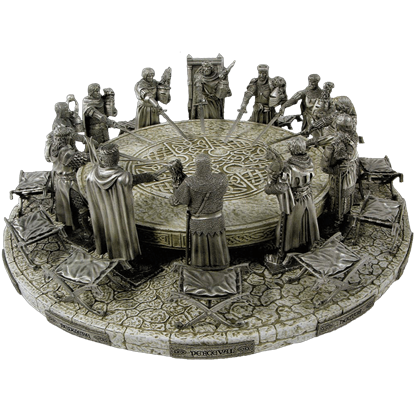 Designed in the appearance of a towering castle wall, the Castle Display Base for Mini Knights is a superb display stand to amplify the historical appeal of your collection of miniature pewter knight statues. 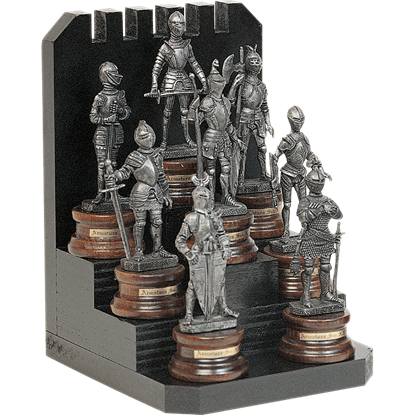 An exceptional display of medieval styling, the Complete Set of 8 Mini Knights and Display Base includes eight beautifully crafted pewter statues and a wooden stand on which to prominently display these knightly figurines. 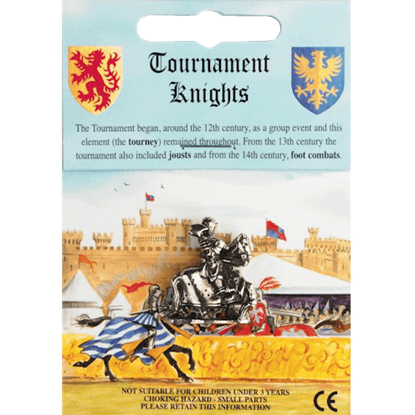 The appearance of the knight changed throughout the Middle Ages with armor improvements and stylistic shifts. 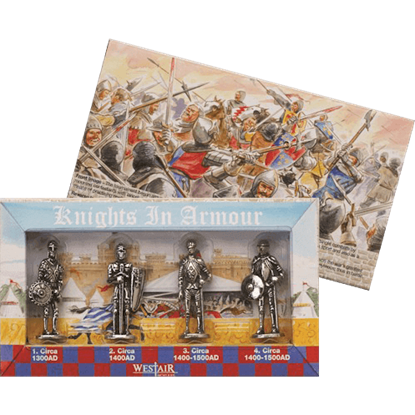 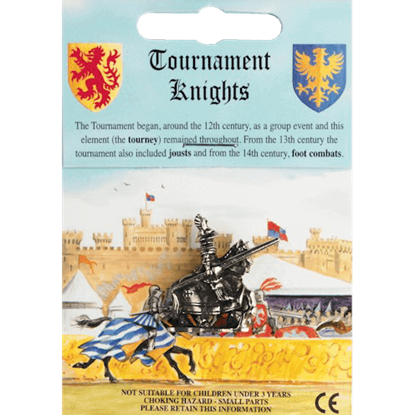 The Knights in a Box Set offers a brief survey of those changes with a quartet of detailed metal knight miniatures. 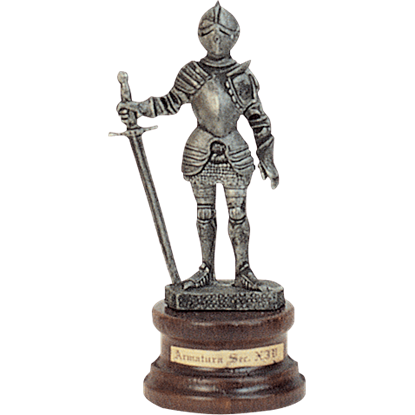 A spectacular figurine of a battle-ready knight, the Mini Pewter Knight with Halberd is a wonderful display piece to express your love of the Middle Ages. 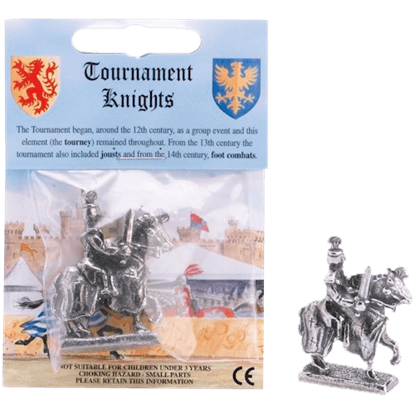 The knight is crafted from pewter and gleams in a manner similar to silver. 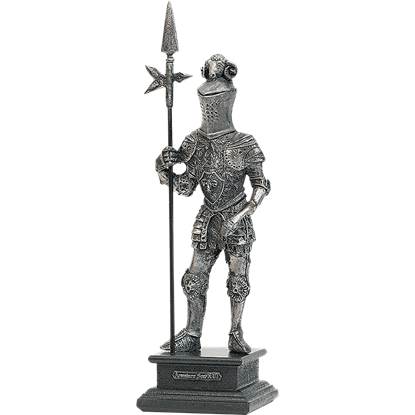 An exquisite decoration for the home or office, the Mini Pewter Knight with Lance is an exceptionally well made statue of a knight wearing ornate 15th century armour and holding his jousting lance and heater shield. 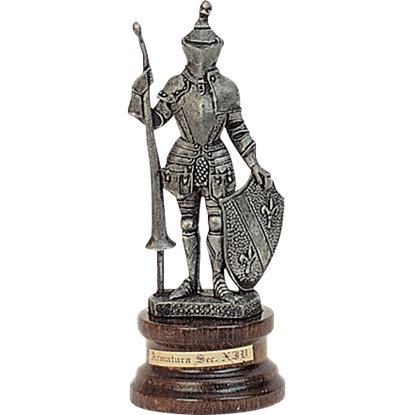 Emulating the Italian-made armour worn into the battle of Gaviniana by an Italian captain Francesco Ferrucci, the Mini Pewter Knight with Longsword is a superb piece of medieval decor perfect for display on a desk or shelf.